Shasta Foodservice Delivers high quality beverages through a nationwide system of safe, efficient, and sanitary plants with over 125 years of manufacturing experience. All core brands are Kosher Certified. Green packaging practices are in place. All Cans and PET bottles are 100% recyclable and all paper board usage complies with sustainable forestry practices. Currently many brands are in the process to be non-GMO compliant. All core brands are Gluten Free. Product quality and regulatory compliance insured by both internal and external audit procedures Customer satisfaction guaranteed through a quality control staff Compliant to GSI Standards. We understand your business better than any other beverage company. Shasta Foodservice continues to deliver uncompromising quality, value and service to the foodservice industry. Beverages are created to tantalize your imagination and tastes. 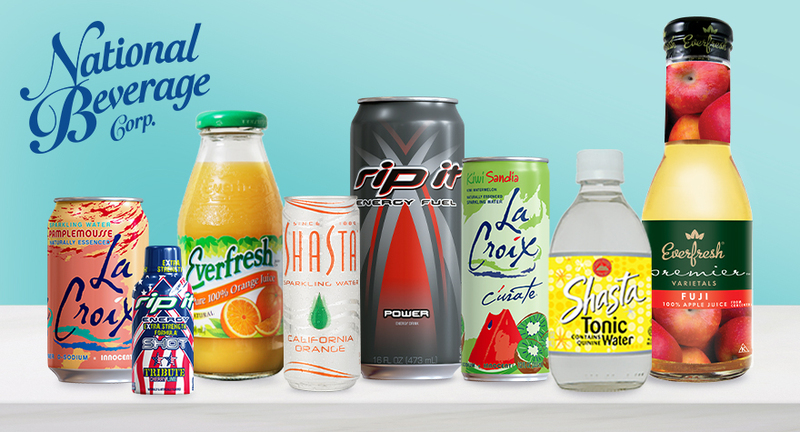 With choices like Everfresh, LaCroix, Rip It, Shasta and Shasta Sparkling Water, available in a variety of flavors and package sizes, we offer solutions to effectively address the challenges of foodservice operations while meeting the demands of consumer trends. Shasta Foodservice is proud to be the one-stop source for beverages in Healthcare, our Military, Restaurants, Hospitality, Schools, and Vending. Contact Us to find a beverage solution to fit your needs.